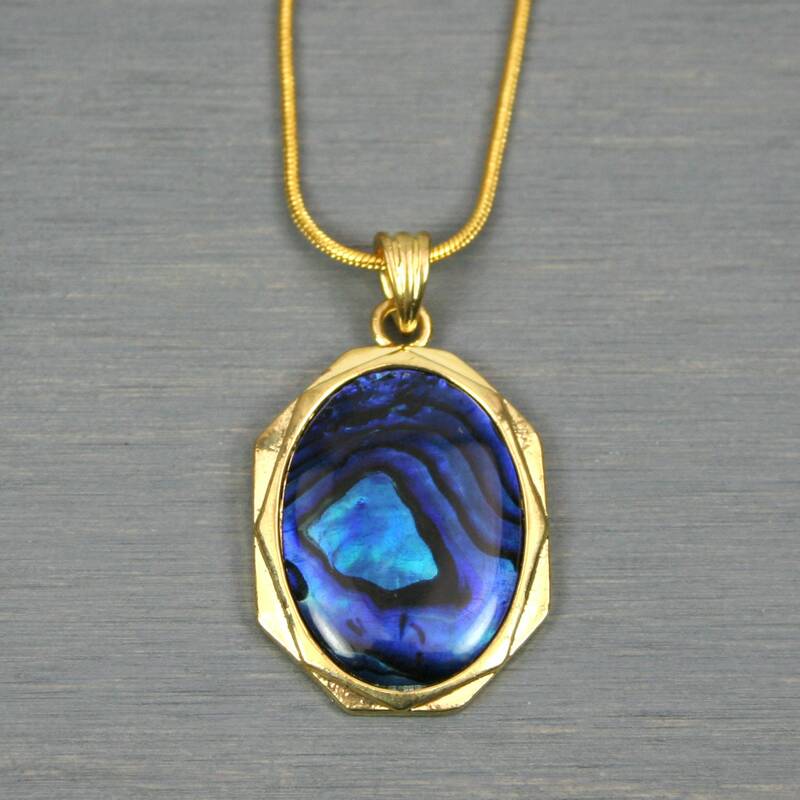 This pendant consists of a blue paua shell cabochon (25 x 18 mm) set in a fancy antiqued gold plated setting that is strung on a gold plated snake chain. The chain is 18 inches long with a 1.25 inch extender chain and lobster clasp. 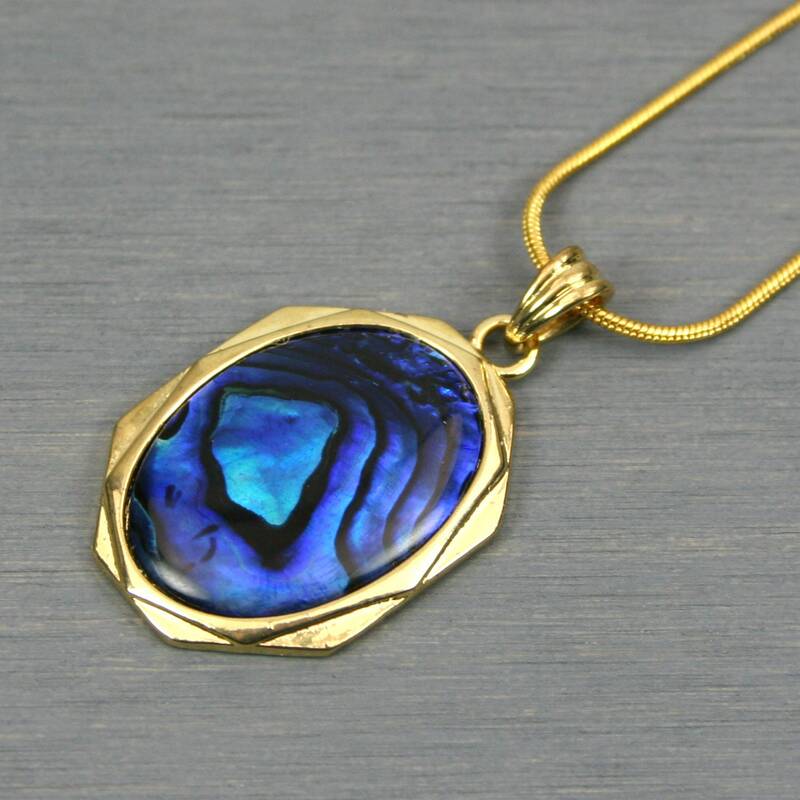 Paua shell is a natural shell from New Zealand that has a rainbow-like iridescence and is closely related to the shell known as abalone in the US. 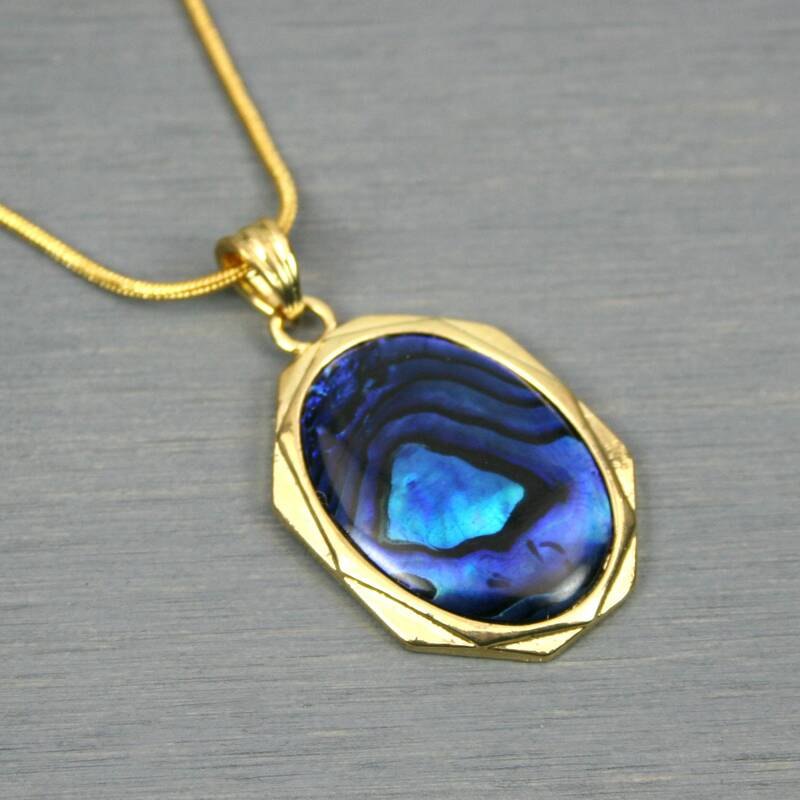 These particular specimens have been dyed blue and coated with epoxy resin for protection and stability. The colors mutate from dark blue to bright blue as they move through the light. Customer service is amazing! 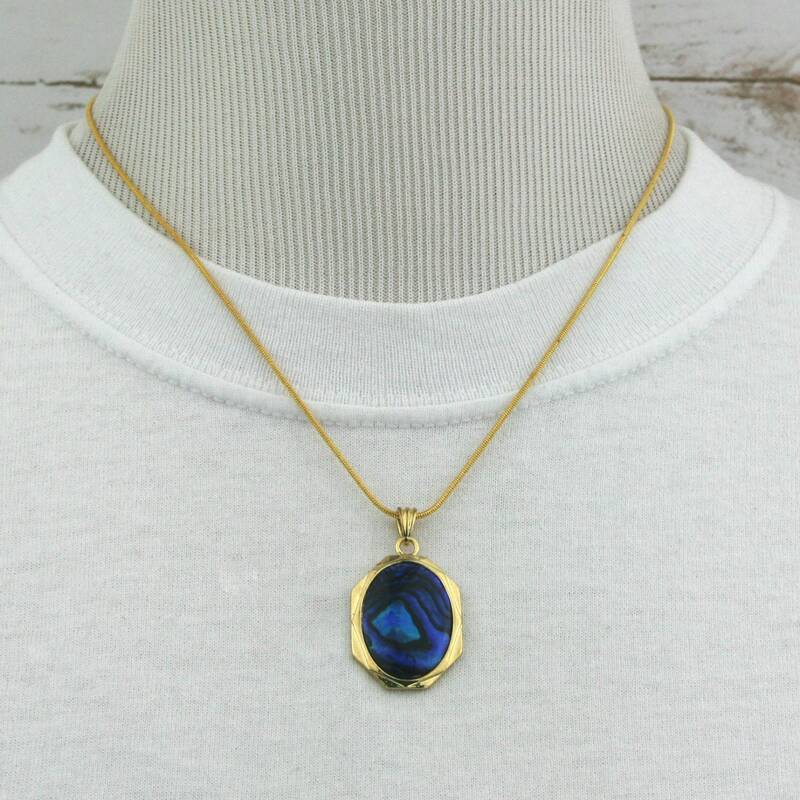 She was extremely helpful and accommodating when I wanted to custom order this necklace. 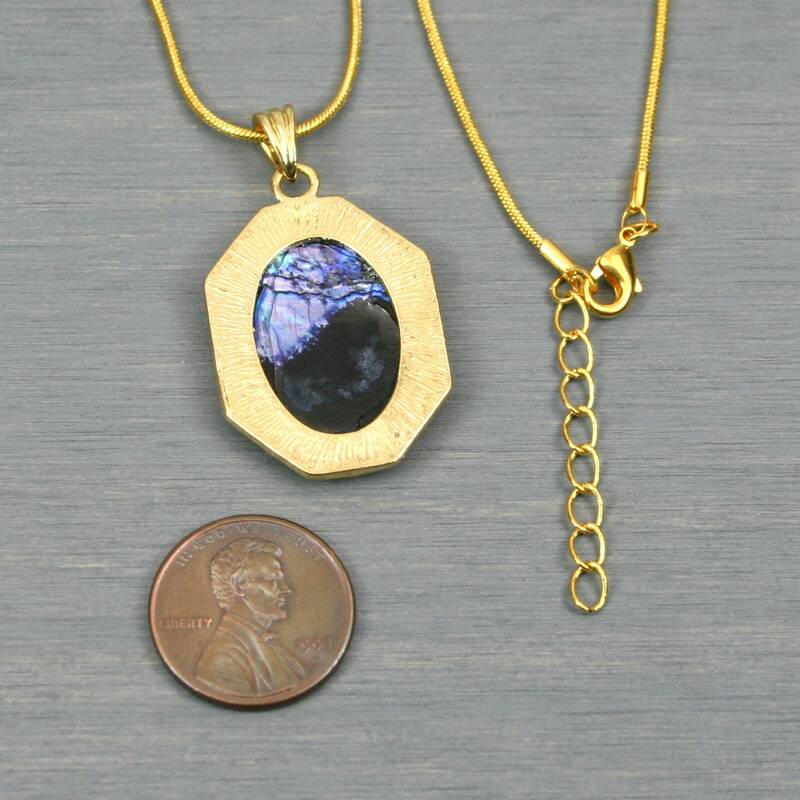 Even went so far as to specially order the stone and had it ready to ship the very next day. I was absolutely Blown Away with how kind and accommodating she was to help me build this necklace. Will highly recommend to anyone who asks and will definitely be buying from her again.